Blue Ivy Carter is taking the internet by storm! 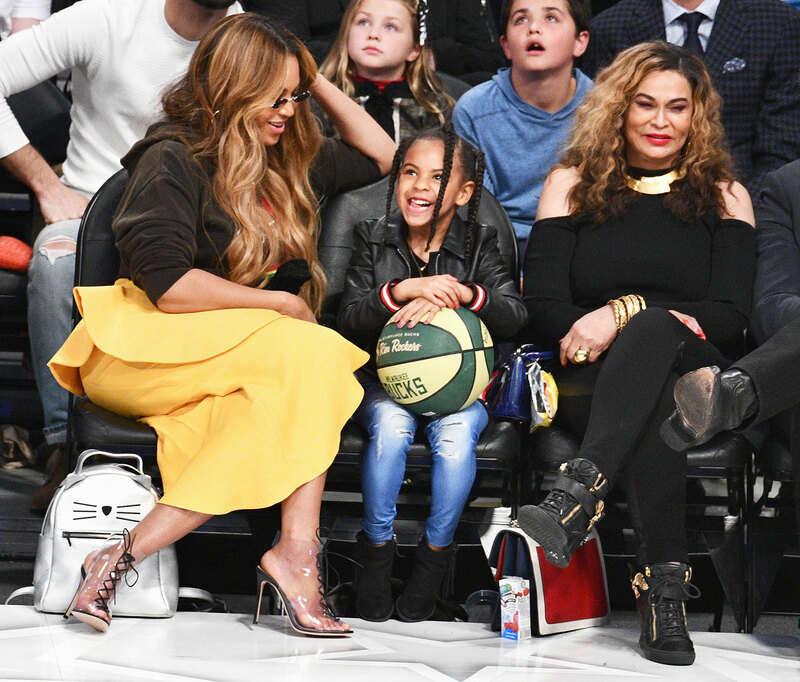 Beyoncé’s 7-year-old daughter told her grandmother, Tina Knowles Lawson, a “corny joke” that left the Beyhive in stitches. Blue, who remained off camera aside from a quick wave, then shared her punny pleasantry with her grandma’s 2 million Instagram followers. Over on Twitter, Beyoncé’s dedicated legion of fans nearly lost their minds over Blue’s adorable voice, which the Grammy winner, 37, and her husband, Jay-Z, have briefly featured in several of their songs, most recently “Boss” from the couple’s 2018 joint album, Everything Is Love. Other admirers were hopeful that Blue will become an entertainer like her parents. “THAT VOICE! I just know Blue gon have some vocals when she grows up,” one Twitter user speculated. Knowles Lawson told Us Weekly exclusively in November 2018 that Blue has been performing “since birth.” As for whether she wants to pursue show business? “Whatever she wants to do, she will definitely be able to do it because she’s good at a lot of things,” the fashion designer added. Beyoncé and Jay-Z, 49, are also the parents of 21-month-old twins Rumi and Sir.